MAISON DU TONNELLERIE is an 18th century stone village house, completely restored with all modern conveniences. The house has 2 bedrooms, a bathroom and shower, a separate WC, a large salon or living room, new modern kitchen and a sunny private courtyard with BBQ. The house is in the small, picturesque Provencal village of Vers Pont du Gard, which is 25 km northeast of Nîmes and 25 km west of Avignon. The village has a bar/café, a boulangerie, a mini mart, a Tabac and an excellent restaurant, all within a short walk. Twice a week, a local greengrocer sets up her mobile shop at the foot of our street. 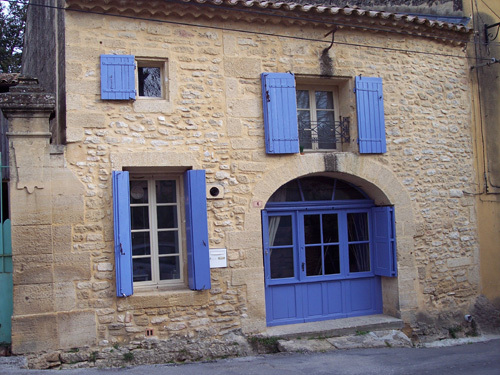 Two large supermarkets are less than 10 minutes away, one in Remoulins, the other in Uzes. 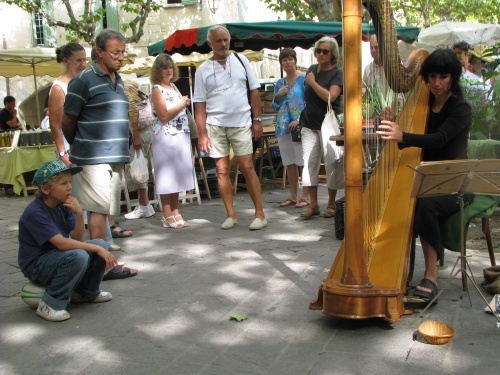 It's only a 10 minute drive to the fairly large town of Uzes, which has all shops and services, twice weekly markets - the Saturday market is one of the best open markets in southern France. 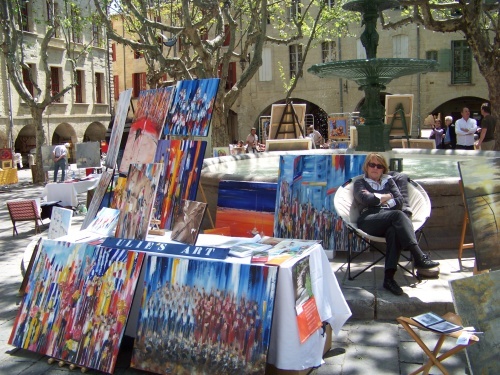 There are also beaucoup de festivals and events year-round. A 5 minute drive, a 15 minute bike ride or 30 minute walk will take you to the Pont du Gard, the beautiful Roman aqueduct. It’s possible to visit the stone quarries - right in Vers - that provided the stone for the Pont du Gard in the first century A.D. The quarries are still in daily operation providing stone for construction projects and decorative objects throughout France. The fabulous French Riviera towns and beaches are only an hour and a half away by autoroute. 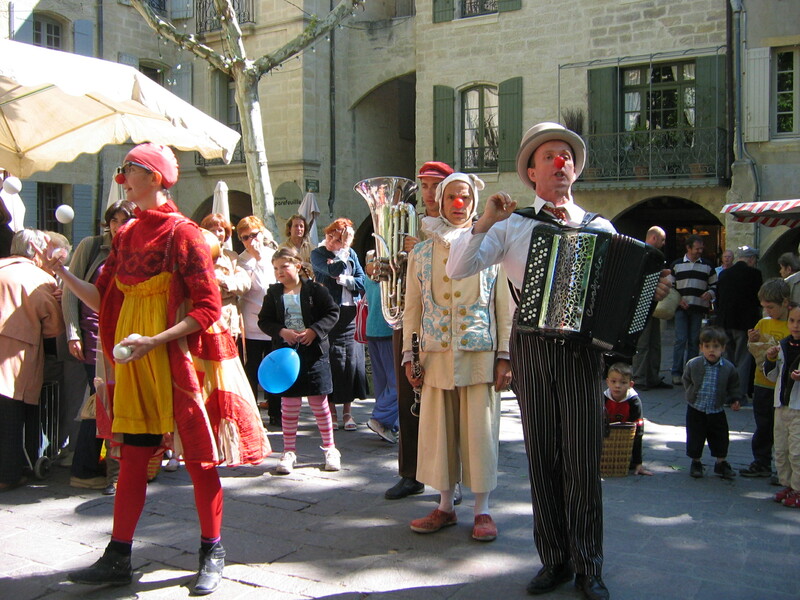 Entertainers from circuses, carnivals and puppet shows vie for your attention and hope to persuade you to attend their performances.